Join two of last year's 100 Women honorees in celebrating 2018 list of trailblazing African women. OkayAfrica has officially launched our annual 100 Women list to honor the many contributions of African women globally. Last year's inaugural list featured a group of groundbreaking African woman who continue to shape culture and expand representation, and this year is no different. Two of the women from our 2017 list, Nigerian actor, writer and comedian Yvonne Orji and her fellow Naija sister—writer, speaker and social critic Luvvie Ajayi—took the time out to share a special message of encouragement to the new honorees. 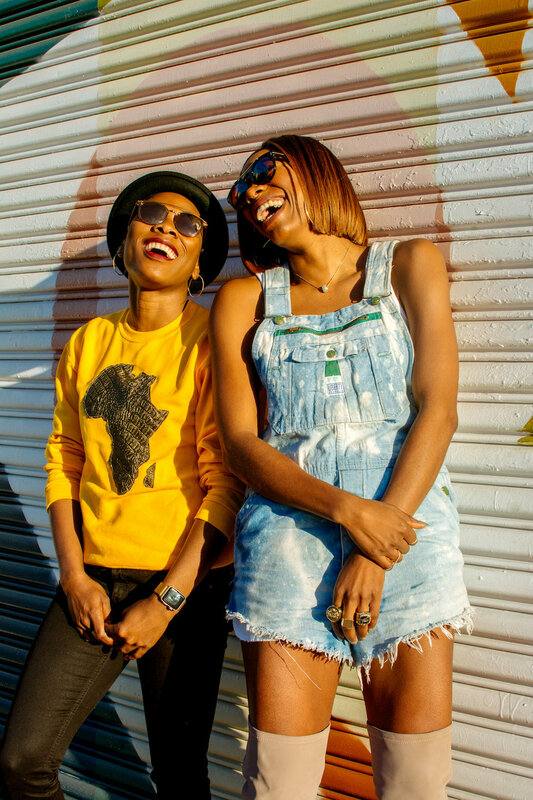 The two explain why it's vital to continue to acknowledged, support and celebrate the many African woman who are breaking barriers on the daily, and speak to the power of community and sisterhood. "When one eats, we all eat. When one succeeds, we all succeed," says Orji. "The more we curate lists like the OkayAfrica 100 Women list, the more the conversation changes"—and that is the very motivation behind our list. Watch Orji and Ajayi's full message below, and join us in welcoming OkayAfrica's list of 100 Women 2018. This article appears as part of OkayAfrica's 100 Women 2018—a project highlighting the impactful work done by African women across the globe. Throughout March, we will be publishing a series of profiles, videos, interviews and feature stories on these inspirational women. Click here to see the entire list of 2018 honorees.